Research: Introducing unconventional approaches for modeling sand formation on Saturn’s largest moon, and extending the findings to advance understanding of exoplanet characteristics and habitability. For Xinting Yu, the most exciting aspect about conducting a planetary science experiment is knowing that the outcome could be beyond our human imagination. 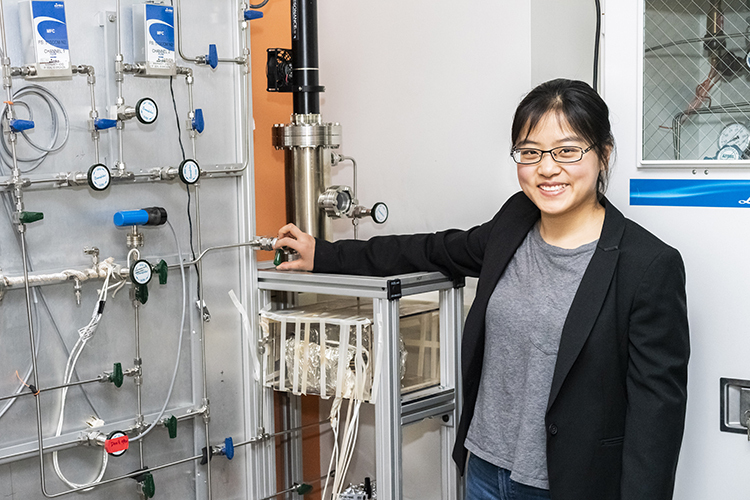 In her determined quest for knowledge, Xinting has conducted extensive research to help explain sand formation on Titan—Saturn’s largest moon—by creating analogs of its organic particles in a lab and characterizing their properties. Xinting is intrigued by the abundant “super-Earths” and “mini-Neptunes” detected by the Kepler space mission. Since these exoplanets are completely unlike anything found in our own solar system, uncovering new information can contribute to a greater understanding of a large and diverse class of objects in the galaxy. As an experimentalist, Xinting aims to generate a more realistic portrait of these exoplanets by expanding upon her research on Titan and reproducing organic particles in exoplanet atmospheres through lab simulations. 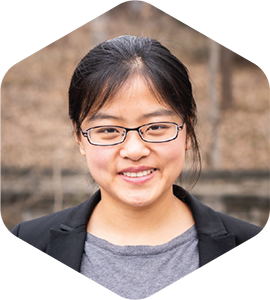 During her fellowship, Xinting will continue to explore one of the most important questions in the field: how clouds, hazes, fog, dust, and other matter interact with different wavelengths of light, and how these relationships impact the signals we receive from exoplanets. Her research will support more accurate interpretations of data collected from the upcoming James Webb Space Telescope mission, and could have strong implications for determining potential habitability of exoplanets. Xinting is expected to receive a Ph.D. in planetary science from Johns Hopkins University in May 2019.